On Thursday April 7, 2016, Alfred – A Cooperative Institute for Arts and Culture, will open a double exhibition titled ‘I will make this land a desolate waste’, which will feature the works of Amir Tomashov and Shlomi Lellouche. This exhibition will be the third in the annual theme of 2016 – The Humane. The annual series will be divided into two sequences of exhibitions that attempt to examine the possible content of "the humane" as it is perceived today: 'the relations between the human and the divine' and 'the relations between the personal and the general'. Both sequences attempt to stress the concept of The Humane. All of the exhibitions stand alone, artistic and curatorial, but share a common concept. 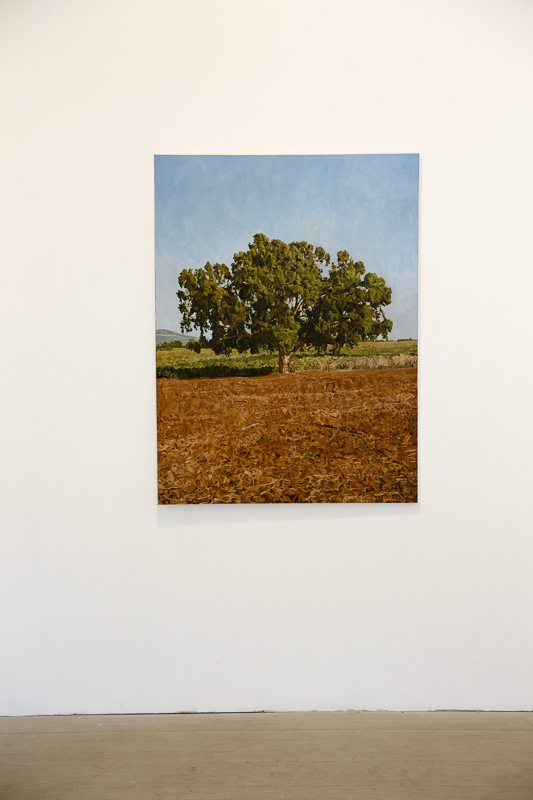 Shlomi Lellouche will present oil on canvas paintings in various sizes. They all share a biblical landscape from Jezreel Valley, and except for one of them, the human figure is excluded. 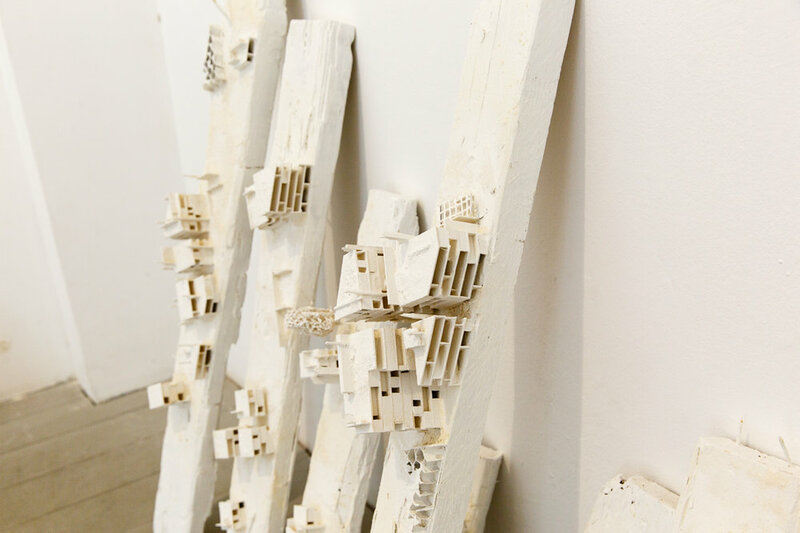 Amir Tomashov will present mixed media art works, models of urban spaces built from various materials, like carton, plaster and wood, all painted white. The works are based on architectural models aesthetics, but relate to a reality of destruction. Lellouche and Tomashov describe themselves as observers of empty landscapes. 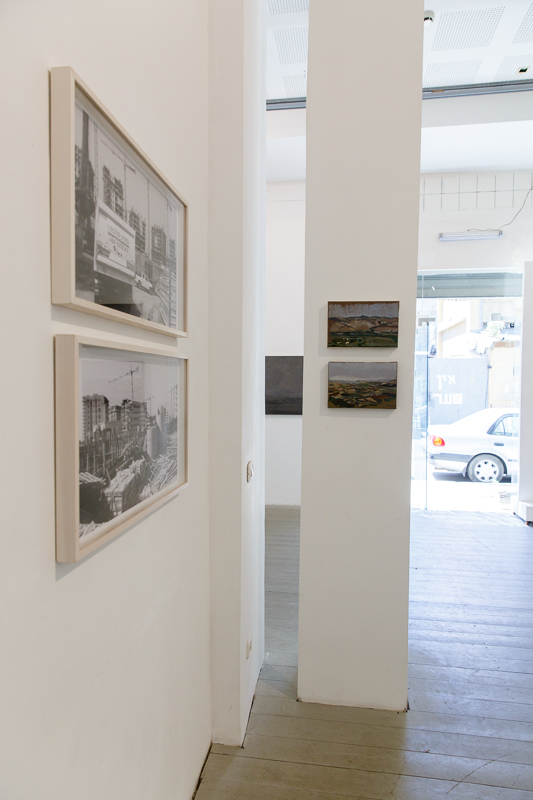 Lellouche's virginal landscape paintings, and the elements of the destroyed urban works of Tomashov, complete a broader picture of reality, connecting through the shredded pieces of information appearing in the different frames. In the exhibition I Will Make the Land a Desolate Waste, clear and familiar elements and objects collide in a surreal way. There is a sharp contrast between the realities each artist portrays in his works. One complements the other like dream and reality, or rather like nightmare and nostalgia. 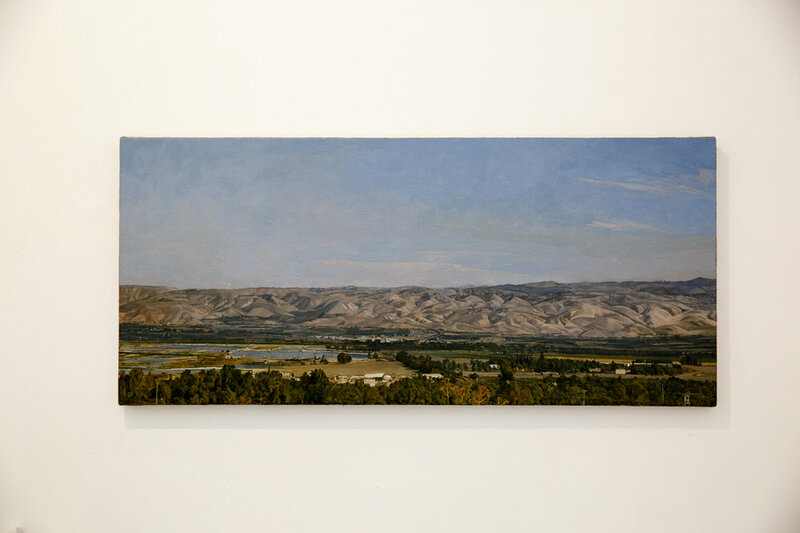 Lellouche and Tomashov, who reside at Afula in the Jezreel Valley, meet in this exhibition. The two present opposing aesthetic approaches for observation on human spaces, and invite the viewers to rethink on our presence in the world, and our relationship with the environment. Shlomi Lellouche, a figurative painter and an art teacher, M.Ed graduate of the Art Institute of Oranim College. Lives and works in Afula. In his art, Lellouche deals with narrative scenes with human complexity, as well as with the simple reality. Amir Tomashov, interdisciplinary artist, graduated with honors from the Faculty of Architecture and Town Planning at the Technion, where he teaches. Lives and works in Afula. Tomashov does not practice practical architecture. Through his art he searches for the clinical-critical perspective on urban anatomy in Israeli and in international metropolis.